A photograph is where Austerlitz started this work. 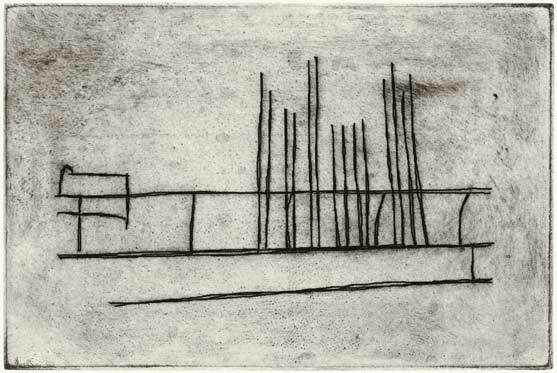 By using a computer it was transformed into a drawing then into an etching. This layered process leaves behind a relic of the "real" and holds the magic of the photograph inside. Austerlitz moves farther away from the original image while striving to get closer to the essence of it.